The Gartner L2 Mobile Marketing report evaluates the mobile content and marketing strategies of 400 consumer brands across 13 sectors. The report identifies several best practices and case studies for brands to optimize their mobile marketing initiatives across channels including display advertising, paid search, and email. “Mobile has expanded from a top-of-funnel awareness device to a legitimate transaction point for brands. However, even as consumers increase their reliance on mobile phones, the majority of brands continue to underinvest in mobile marketing initiatives. 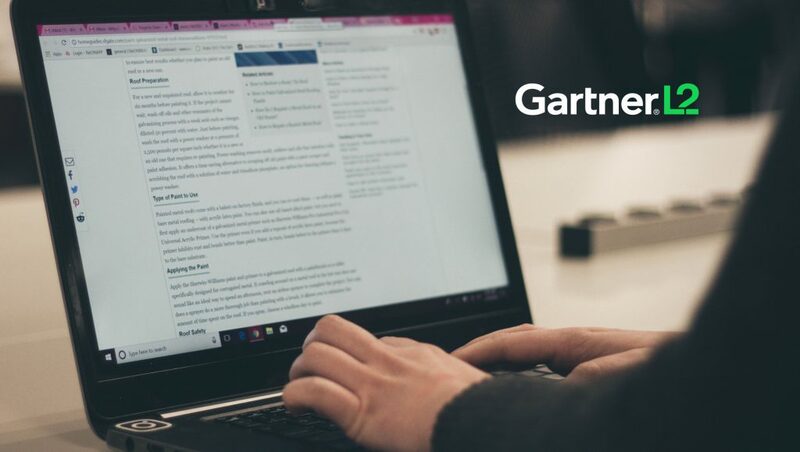 Those who fail to prioritize mobile risk losing sales and consumers to competing brands who understand the degree to which mobile phones are constantly connected to their customer bases,” explained Evan Neufeld, VP of Intelligence at Gartner L2. Also Read: Is Person-Based Marketing an Upgrade to ABM? Small Screen Advantage: Sixty-seven percent of measured brand site traffic comes from a mobile device. However, only 13 percent of brands’ total ad spend was allocated towards mobile in 2017. Less is More: The total number of brand emails optimized for mobile dropped from 75 percent in 2016 to 67 percent in 2017. Email campaigns with a subject length of 21 to 30 characters performed strongest on mobile with a 24.4 percent open rate, while the open rates fell to 21.9 percent for emails with subject lines 71 characters or more. Linking Strategies: In 2017, 67 percent of brands’ mobile display ads linked to a brand’s own site. Amazon has overtaken Walmart as the preferred e-tailer ad linking destination, increasing its share of CPG brand e-tailer digital ads from 26 percent in 2016 to 40 percent in 2017. “Mobile commerce and the prevalence of a cross-device purchase journey is on the rise. In order to effectively reach the mobile consumer, brands must deliver high mobile ad quality, refine targeting by working with sophistical platforms such as Amazon, and invest in Google shopping Ads as much as possible,” noted Evan Bakker, Senior Associate at Gartner L2. The report features case studies on brands including Aveda, GoPro, Gucci, lululemon, Nike, and Subaru.